Though the popularity of radio had suffered badly with the arrival of Television and Internet, the opening of the FM radio to private channels has infused a new life to radio. 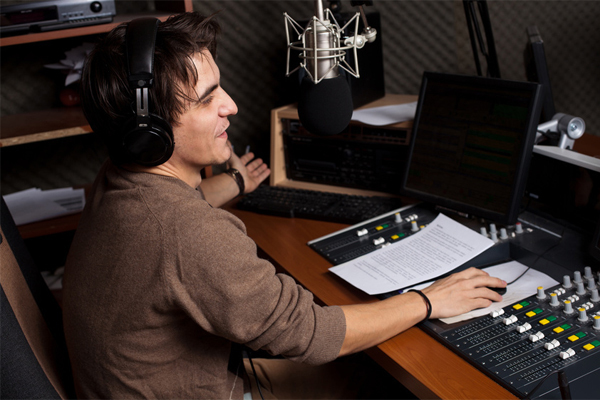 Radio Jockeying is an exciting, promising and challenging career for those who have a passion for music. It is the only profession in which one may be recognized by their voice. Radio Jockeys are those who anchor music programmes on radio. The task of a RJ is to entertain the listeners by playing music or conveying messages in a most attractive and sophisticated way. They play requests from listeners, interview guests, manage contests and also provide information on the music, weather and traffic. This is a profession which requires a lot of hard work and presence of mind. It is the performance of these Radio Jockeys that makes or mars the radio station. Mostly youngsters are preferred in this field as they have new ideas, concepts and are bubbling with enthusiasm. Every successful Radio Jockey has their own style of communicating. To make an imprint in the listeners heart, apart from a good voice, the Radio Jockey should be warm, friendly, spontaneous, dynamic and must possess good communication skills. One who is interested in this field must keep on observing how the RJ's handle the calls, interact with the listeners, how they answer tricky and awkward questions and comments from the listeners etc. Prospective candidates must listen to a lot of radio, try and come up with innovative ideas and pack their voice with energy.